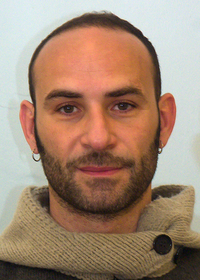 My research interests focus on the development of efficient methods to assimilate and combine data with numerical models of environmental systems. I work at the bridge between applied mathematics and geosciences and my main expertise is in dynamical systems and stochastic filtering applications to geophysics. I am interested in fundamental issues in the theory of data assimilation and in efficient methods to quantify uncertainty in high-dimensional problems such those encountered in climate science. I hold an Adjunct Associate Professor position at the Geophysical Institute of the University of Bergen (see university link). Together with Laurent Bertino, I lead the Data Assimilation group at NERSC. I currently coordinate two international projects on efficient reduced order methods for data assimilation in high-dimensional chaotic system (REDDA from the Norwegian Research Council) and on data assimilation for Lagrangian sea-ice models (DASIM I and DASIM II from the US Office of Naval Research). I am also currently invovled in other national and international projects but not as PI. The complete list of my published papers is below. Bocquet, M., J. Brajard, A. Carrassi and L. Bertino, 2019. Data assimilation as a deep learning tool to infer ODE representations of dynamical models. Nonlin. Processes Geophys. Disc. (Available here). I am currently supervising two postdocs: Ali Aydogdu (postdoc, 2017- ) and Sukun Cheng (postdoc, 2016 - ) and co-supervising two PhD students, Francine Janneke Schevenhoven and Avneet Singh, enrolled at Geophysical Institute of the University of Bergen, and one MsC student Simon Clement from University of Grenoble (France). Past supervision: Colin Grudzien (postdoc, 2016-2019, now at Un. of Neveda Reno) Patrick Nima Raanes (postdoc, 2016-2018, now at NORCE), Matthias Rabatel (postdoc, 2016-2017), Maxime Tondeur (MsC student, 2016-2017, Ecole des Mines, France) and Robin Weber (MsC student, 2013-2014, Un. of Heidelberg, Germany). Together with Olivier Talagrand and Marc Bocquet we will teach a short course on data assimilation at the upcoming EGU 2019, Friday 12th April 16:15-18:00. Together with Marc Bocquet, Laurent Bertino and Geir Evensen, we published the review paper: Data assimilation in the geosciences - An overview on methods, issues and perspectives. -- Short course "Data assimilation in the geosciences - A methodological overview". EGU 2019. Vienna, Austria, 07-12 April. Co-lectured with Olivier Talagrand and Marc Bocquet. -- Mini Course on Data Assimilation at the upcoming school Mathematics of Climate of the London Mathematical Society. 08-12 July, Reading, UK. -- BsC/MsC Course on Data Assimilation at Dept. of Mathematics (University of Bergen). September-November 2017. Co-lectured with Geir Evensen, Laurent Bertino and Patrick Raanes. The full description of the course along with its schedule can be found here, or via the Math department webpage here. Exams date: 30th November and 1st December. Solicited talk Data Assimilation for Chaotic Geophysical Dynamics - An Overview. Session NP1.1 Mathematics of Planet Earth - EGU 2019. 10th April, 2019. “Crash-Course on data assimilation: Theoretical foundation and advanced applications with focus on ensemble methods ", 06-09 June 2017, Bergen, Norway. "Summer School on Data Assimilation and its application in oceanography, hydrology, risk & safety and reservoir engineering", 17-28 July 2017, Sibiu, Romania. There are not available positions at moment, but there could be soon. Some of them have already attached funding. For others we can explore possible sources. I am a certified Iyengar Yoga teacher (level: Base 2) and currently teach at yogarommet in Bergen. It would be great to meet you there ! Raanes PN, Bocquet M, Carrassi A. Adaptive covariance inflation in the ensemble Kalman filter by Gaussian scale mixtures. Quarterly Journal of the Royal Meteorological Society. 2019;145(71842112216735135613848114316522311341256525340216431108233291269911):53 - 75. Grudzien C, Carrassi A, Bocquet M. Chaotic dynamics and the role of covariance inflation for reduced rank Kalman filters with model error. Nonlinear processes in geophysics. 2018;25(3). Rabatel M, Rampal P, Carrassi A, Bertino L, Jones CKRT. Impact of rheology on probabilistic forecasts of sea ice trajectories: Application for search and rescue operations in the Arctic. The Cryosphere. 2018;12(3). Grudzien C, Carrassi A, Bocquet M. Asymptotic Forecast Uncertainty and the Unstable Subspace in the Presence of Additive Model Error. SIAM/ASA Journal on Uncertainty Quantification (JUQ). 2018;6(4). Pulido M, Tandeo P, Bocquet M, Carrassi A, Lucini M. Stochastic parameterization identification using ensemble Kalman filtering combined with maximum likelihood methods. Tellus. Series A, Dynamic meteorology and oceanography. 2018;70(1). Bocquet M, Gurumoorthry K, Apte A, Carrassi A, Grudzien C, Jones CKRT. Degenerate Kalman filter error covariances and their convergence onto the unstable subspace. SIAM/ASA Journal on Uncertainty Quantification (JUQ). 2017;5(1). Gurumoorthry K, Grudzien C, Apte A, Carrassi A, Jones CKRT. Rank Deficiency of Kalman Error Covariance Matrices in Linear Time-Varying System With Deterministic Evolution. SIAM Journal of Control and Optimization. 2017;55(2). Bocquet M, Carrassi A. Four-dimensional ensemble variational data assimilation and the unstable subspace. Tellus. Series A, Dynamic meteorology and oceanography. 2017;69(1). Carrassi A, Bocquet M, Hannart A, Ghil M. Estimating model evidence using data assimilation. Quarterly Journal of the Royal Meteorological Society. 2017;143(703). Carrassi A, Vannitsem S. Deterministic Treatment of Model Error in Geophysical Data Assimilation. 2016. Pazò D, Carrassi A, Lòpez JM. Data-Assimilation by delay-coordinate nudging. Quarterly Journal of the Royal Meteorological Society. 2016;142(696). Hannart A, Carrassi A, Bocquet M, Ghil M, Naveau P, Pulido M, et al. DADA: data assimilation for the detection and attribution of weather and climate-related events. Climatic Change. 2016;136(2). Carrassi A, Guemas V, Doblas-Reyes FJ, Volpi D, Asif M. Sources of skill in near-term climate prediction: generating initial conditions. Climate Dynamics. 2016;47(12). Mitchell L, Carrassi A. Accounting for model error due to unresolved scales within ensemble Kalman filtering. Quarterly Journal of the Royal Meteorological Society. 2015;141(689). Raanes P, Carrassi A, Bertino L. Extending the square root method to account for additive forecast noise in ensemble methods. Monthly Weather Review. 2015;143(10). Weber RJT, Carrassi A, Doblas-Reyes FJ. Linking the anomaly initialization approach to the mapping paradigm: A proof-of-concept study. Monthly Weather Review. 2015;143(11). Carrassi A, Weber RJT, Guemas V, Doblas-Reyes FJ, Asif M, Volpi D. Full-field and anomaly initialization using a low-order climate model: a comparison and proposals for advanced formulations. Nonlinear Processes in Geophysics. 2014;21(2):521 - 537.